The Devices of the Lawless Almanac is compiled for the internet and produced by Covenant People’s Ministry. All materials contained within this e-book are freely distributable but we humbly request that if you review or quote this material that CPM be contacted and made aware. 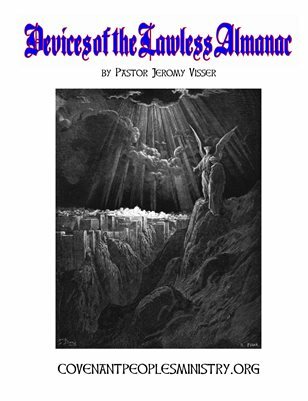 The four separate sermons that comprise this free e-book were written and preached in mid-2005 so please download the audio ﬁles from our website if you feel they will help you in your personal Bible studies.